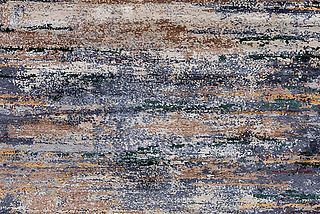 The Nilanda NI19 is our new rug of the month of November 2017. 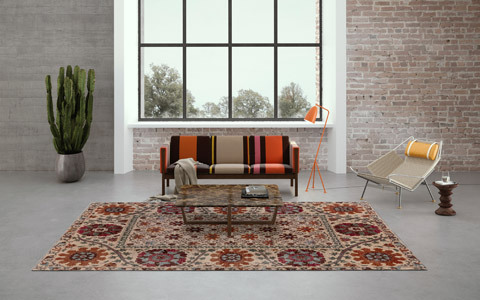 It is part of the popular Nilanda Collection, which Mischioff presented for the first time to the international audience at the trade fair IMM Cologne in early 2017. This designer carpet is made of approx. 75 percent of finest Chinese silk and 25 percent of high-quality Himalayan highland wool. This exclusive material combination provides a particularly gentle pile and a very elegant appearance. The high silk content creates an irresistible glow, a wonderful highlight for every modern home! With approximately 160,000 knots per square meter (Tibetan knotting technique) this work of art is made in pure hand work. The Nilanda NI19 has a very modern appearance thanks to the abstract design. 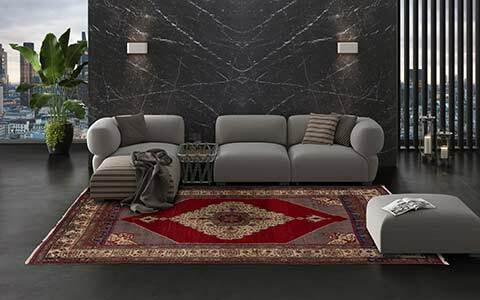 The design template of Mischioff designer Dani Misio does not reveal any classical patterns or symmetries: modern, artistic and abstract elements create an exclusive carpet that creates an individual living ambience. The combination of various beige, brown and gold tones creates gentle colour transitions as well as expressive contrasts. 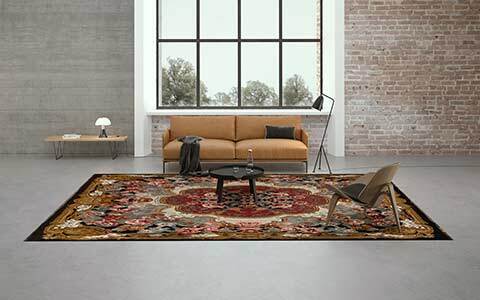 The rug of the month is available in the standard dimensions 300 x 230 and 250 x 185 centimeters directly from stock as well as orderable in individual custom size – please schedule about four months delivery time for individual sizes. 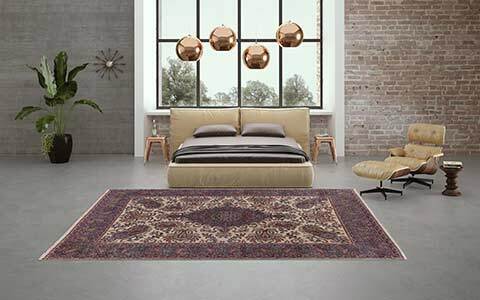 The rug is hand-knotted in Nepal with a pile height of about 8-9 millimeters and has a weight of about 3,7 kg /per square metre. 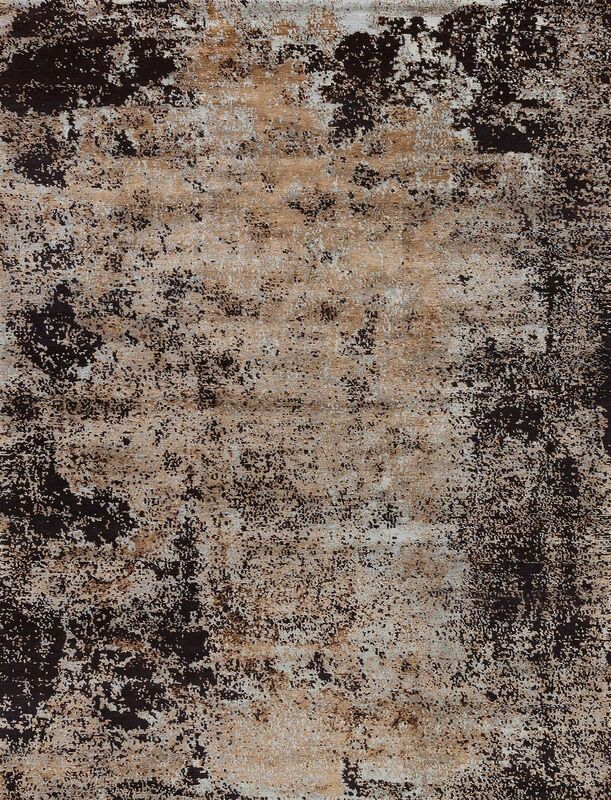 The Nilanda NI19 is a product of high quality craftsmanship, which also applies to all rugs of the Mischioff Collection. 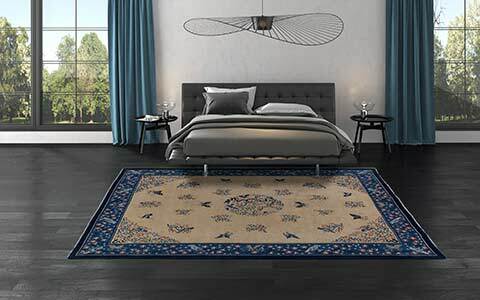 The Fair Trade Label STEP secures an ecological production and demonstrates Mischioff's commitment to the fair carpet trade as well as to fair wages and environmentally friendly production methods in Nepal. The regular on-site inspections guarantee good working conditions for the workers in the manufactories. Get The Nilanda NI19 For Your Store Or Project! You would like to add our rug of the month November 2017 to your carpet assortment? Or you are looking for the perfect rug for a custom project? If you need further information about our rugs of our various collections, please contact us - we look forward to your message! 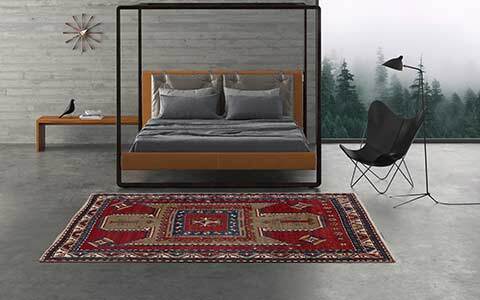 We gladly inform you about our comprehensive rug collections in an excellent material and processing quality. f you are a private person and interested in the Nilanda NI19, we gladly help you to find an authorized Mischioff partner in your region. For this purpose, our Where-To-Buy Search is available - simply enter and submit your contact data.